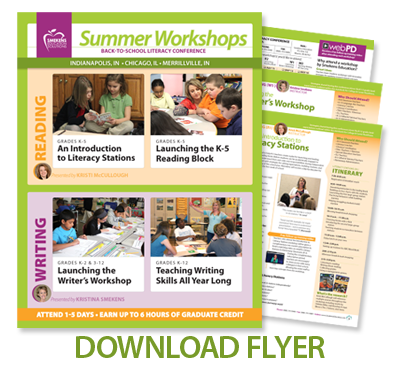 This workshop will equip teachers with research-based strategies for how to start up a daily reading block that balances three key components: whole-class instruction, literacy stations, and small-group teaching. Reading expert Kristi McCullough will show teachers how to plan for whole-class comprehension mini-lessons that spin off into purposeful and targeted small-group instruction. By day’s end, attendees walk away with a classroom-tested "road map” for how to effectively integrate the three components of the reading block.